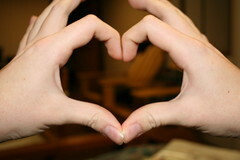 Working at Camp Weequahic was an experience of a life time. Who would have known that being on the opposite side of the country from my family would have been so easy? 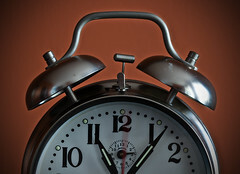 I left my house at 6am on a Saturday morning, got on a plane, and had no idea of what to expect. Of course, I knew the details – I was going to be a bunk counselor and part of the waterfront staff. However, I didn’t know who I was going to work with, what my kids would be like or even the age of the children that would be in my bunk. Even though the Weequahic staff helped get me organized and ready, I was very nervous when I boarded the bus from Laguardia Airport to Weequahic. During orientation I became familiar with the people who I was going to be working with for the next 10 weeks. I never imagined that these people from all over the world would so quickly become my family and more – my 2nd family, my best friends, and my co-workers all in one. Little did I know my life was very quickly going to get even better when the kids arrived! During orientation, I couldn’t really imagine the camp with kids. 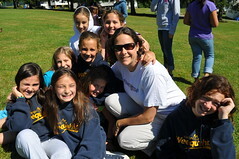 Once my kids got to camp, though, I could no longer imagine Camp Weequahic without them. Bunk 25 – what a wonderful place this was to live this past summer! Working with my girls was the most impactful memory for me; I will never forget the experience of working with my very first campers. My 8 and 9 year old girls helped me grow up very quickly; they helped me become more independent, more mature, and much more understanding of what parents go through on a day-to-day basis. 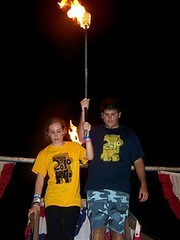 Bunk 25 will always hold a special place in my heart. 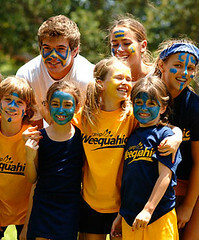 Camp Weequahic isn’t an ordinary place to work. It’s a home, it’s a lifestyle, and it’s a place where you mean the world to so many kids. 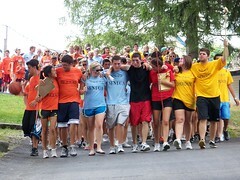 Camp Weequahic is more than a job, it’s a family. Thanks for the image JacobEnos. 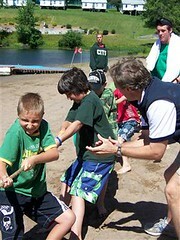 In an earlier post, we discussed one of the primary concerns parents have about summer camp – will my child be safe? This week, we wanted to talk about the people who care for our kids at camp and keep them safe; how they are chosen and trained to do their jobs. When you’re putting the care of your children into other people’s hands, it’s important to have confidence in their caretakers. At Weequahic, not only does every person who works at camp have to love working with kids, they all also have to be good at it and have the skills to be a success. We take our 10 month ‘off season’ to plan for 2 months of fun (and safety) and excitement (and growth)! For me, this means meeting every family interested in Weequahic for next summer. (Well, almost every family. I have yet to make it to Spain…). Home visits are my favorite part of the ‘off season.’ I get to see the children in their home environment – how they interact with their parents, what games do they like to play, how engaged they are in the process of choosing a camp, etc. These visits also help me better understand their families as well. We are big believers in the importance of a whole family approach to Weequahic and do our best to provide both the camper and their family an exceptional summer experience. Home visits represent an invaluable experience for me, especially when putting the bunks together or speaking with parents during the summer. Therefore, I enter every home with a list of questions I want to explore. I suggest parents approach these meeting in the same manner. Who are your counselors? How do you find and train them? How old are they and how many live with the kids in the bunk? Who supervises the counselors? What is their background? What is the program day like? Do our children choose any, some, or all of the daily activities? Will my child participate in activities with boys and girls of any age or is it more structured? What sets your camp apart from others? Where do your campers come from? How do you place new campers into your community? When is visiting day and how does that work? How will my child get to camp? What about their luggage? Please explain the first day at camp to me so we know what to expect. While this is not an exhaustive list of questions, I believe these are some of the most important. The director, or whoever visits your home, will not be the one providing direct care for your child. However, the director must, in my opinion, have a major influence on the staff selection and training, the bunk life for each child, and much more. The answers to these questions will provide a more thorough understanding of the philosophies behind the camp.